Sheep's wool has long been touted as one of nature's best insulators. It's no surprise that both mountain climbers and astronauts frequently wear wool to stay warm. Its capacity to shield the body from the stiffest of winds and bitter cold temperatures has promoted its versatility as a comfortable multi-season fabric. But as one San Francisco startup has found, it's also got a knack for warming homes. Havelock Wool, LLC specializes in wool insulation products that can be used in housing construction from the ground up. The company, which has its roots in New Zealand sheep herding country, has developed several products that are now being used in North American homes -- including environments known for their warm, sunny weather. The company recently tried out its products on a 17,000 foot mansion in Newport Beach, a destination harbor town smack in the middle of Southern California's coastline. As with most insulating products, the material's ability to lock out cold temps also gives it the ability to insulate homes during hotter weather. It absorbs moisture, drys out naturally and doesn't become moldy. But its most appealing quality is its environmental benefits. Unlike foam insulation, wool can be grown and harvested without exposure to chemicals. The old system of dipping the sheep in chemical baths that help ward off parasites had a purpose, but the costs to the environment and to those exposed to the wool often outweighed the benefits. 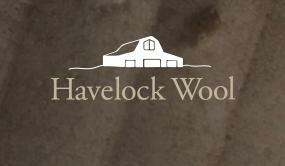 Havelock Wool says it raises and harvests its wool naturally without chemical additions. It's also highly fire resistant, which means no need for chemical retardants. Borax is used in some cases to increase its retardant capabilities. There has been increasing effort in California in recent years to encourage furniture manufacturers to migrate away from chemical materials like foam, which are often used in baby mattresses. Havelock's success in the insulation sector is further evidence that natural sources can replace chemical ones. According to the Healthy House Institute, wool insulation actually has a higher R-rating than fiberglass, cellulose or other synthetic materials. Havelock is one of a growing list of companies that now offer environmentally friendly insulation for construction. The company offers two products: Loose fill insulation that can be added to walls with the help of an insulation blower (without the increased risk of respiratory complications from inhaling fiberglass) and batt insulation. Loose fill is often used for acoustic properties (wool makes a great sound barrier), while batt insulation can be installed easily by hand. It has great insulating properties as well and often can be installed without professional assistance. Of course, savvy homebuilders always want to keep price in mind. Sheep's wool (not to be confused with synthetic rock wool) , like most eco-friendly alternatives, costs more. 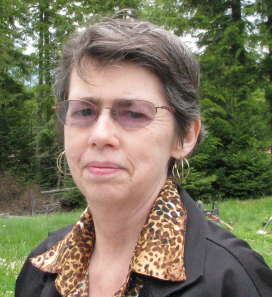 Havelock maintains that the cost difference isn't significant. Other sources back their claim up. UK blogger Peter Mueller points out that cost -- both environmental and commercial -- are often greater the farther the product must be shipped. With California-based wool companies like Havelock, the benefits of migrating away from synthetic fillers and batt products often has its hidden benefits for the consumer as well as for the environment.